Langerhans cell histiocytosis (LCH) is a rare, systemic disease caused by monoclonal expansion of dendritic cells that shows a particular predilection for the hypothalamic–pituitary system (HPS). We studied the function (anterior and posterior pituitary hormonal secretion) and morphology using magnetic resonance imaging (MRI) of the HPS in 17 adult patients (seven males, median age 35 years, range 18–59 years) with multisystem LCH. We also evaluated the evolution of structural HPS abnormalities in relation to pituitary function and response to treatment in 12 of these patients during a median follow-up period of 3.75 years (range 1.5–10 years). Of the 17 patients, 14 (82%) had abnormal HPS imaging, and 12 (70%) had more than one area involved. Lack of the bright spot of the posterior pituitary lobe was typically found in all patients with the diagnosis of diabetes insipidus (DI). 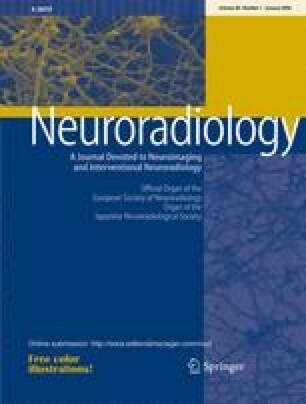 Eight patients (47%) had infundibular enlargement, six (35%) pituitary infiltration, four (24%) partially or completely empty sella, three (18%) hypothalamic involvement, and two (12%) infundibular atrophy. DI was found in 16 patients (94%) and anterior pituitary hormonal deficiency (APHD) in 10 patients (59%); two patients had single (12%) and 8 (47%) multiple APHD. During the follow-up period there was improvement of the initially demonstrated HPS pathology in seven (47%) patients, and five (33%) of them had received at least one form of treatment. APHD and DI persisted in all patients except in one in whom established gonadotrophin deficiency recovered. In summary, DI and APHD are very common in patients with multisystem LCH and are almost always associated with abnormal HPS imaging.